The volatility experienced at the end of 2018 is something long forgotten by some investors. Volatility isn't always a bad word, it really means a tendency or vulnerability to rapid change, often unpredictably, especially for the worse. For equity investors, 2018 exuded evidence of increased volatility, and much of it was in the downward direction. 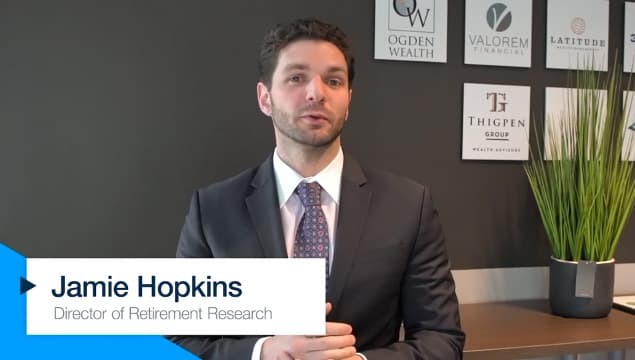 The first step is to understand what type of volatility you may have in your portfolio. For example, if you have 100% of your portfolio invested in one company, be it your own or a publicly traded portfolio, it's safe to say that your volatility range is 360 degrees. You can lose it all or it can perform quite well. While diversifying from one large holding (or any concentrated position for that matter) is no sure fire way to eliminate volatility or boost performance, it's widely considered a prudent strategy for reducing risk. If you already have a diversified portfolio, it behooves you to understand how much risk you're taking in that portfolio too. While we all know that past performance is no guarantee of future results, there are analytical tools available for professional investment advisors to help you assess your downside and upside risk. The outcome of your analysis may surprise you. It's not uncommon to see portfolios implemented in a widely different fashion than your risk profiles prefers. The next part of exploring how much volatility you can tolerate is to truly understand the arithmetic of your financial life. It's essential to know how much you need to earn from your portfolio to meet all of your life's objectives. There are a lot of moving parts to that calculation that may differ from month to month or year to year. These parts include an estimate of your personal rate of inflation, your cost of living, your tax rate and a target return from your investments. Because any of these can change so fast, you may be wise to evaluate at least annually so any deviations or other irregularities can be measured and adjusted in a timely manner. The last comment about volatility is regarding the sequence of returns. Some may claim to be great investment market timers, history has shown that to be a very difficult feat through the various possibilities of market conditions. As a result, for those with large sums of cash, whether from years of saving, the sale of a business or an inheritance, you may consider entering your choice of investment markets very slowly. This process, called dollar cost averaging is a way to wade into a more volatile investment position. It's well suited to investors that want to avoid the potential adverse consequences of a sudden drop in the value of your chosen investment strategy. While in the long run, it may be no less risky than diving right in, it's positively one way to avoid a negative sequence of returns killing your dreams right out of the gate.